Discussion in 'ATI' started by Adam, Oct 20, 2012. This is for an old Asus A7V133 system. Since it's Ebay, you could go for a 7600 GT AGP. That's about $100 for the ones I could find. driver complaints, no matter what card you end up shopping for. The comparison of the HD 4670 is here. you'd have to add some watts (maybe 5W or so) for the HSI chip. around the same power as the 6600 GT, or about 48 watts. For comparison, some model of 9800 Pro here, is 47 watts. the molex connector problem (burnt pin) that you mentioned. then I can avoid spending for another video card. Is there another way to fix without soldering, which I don't do. Maybe use a better quality female molex connector? Molex (+5V pin) was burned. The other three pins were untouched. was the connector on the power supply that fit loosely. And that's why it burned. use a cheap Molex connector on the video card. difficult to swap video cards). It doesn't look like an ATi Radeon 9800 Pro. It's a 9800 XT, out of a Dell. more RAM on the newer card. has one slot to fit a key. whether there are problems or not. I replaced the burned Molex extension cable with a new one. video defects still exist with the new Molex extension cable. Could the problem be an insufficient power supply? You cannot "clean up" a burned connector. I learned this the hard way, on a $6000 piece of equipment at work. Initially, I thought you could clean connectors too, but I was wrong. connector parts, so new shiny pins are present on both sides. no more trouble with it. and didn't involve removing any solder from the video card. if I soldered closer to the card itself. The pin and wire carry 5V at around 5 amps on the 9800 Pro. to carry 5 amps again. to appear on the display. Okay, let me see if I can get someone to do a similar soldering solution. 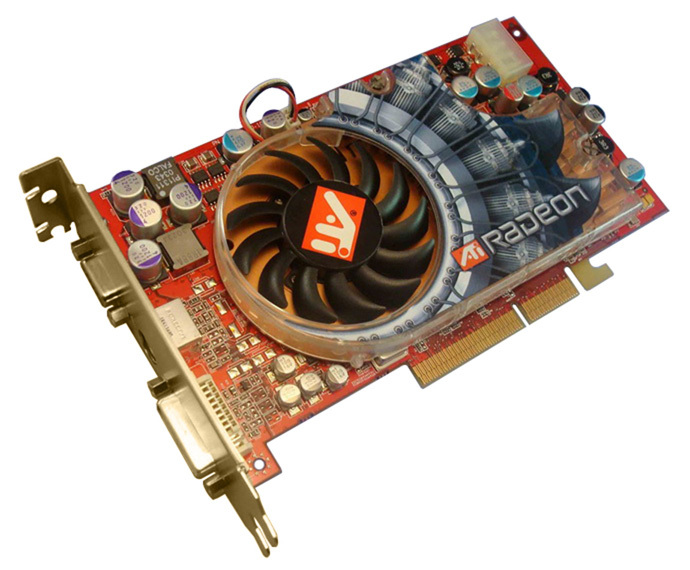 If not, it may be better to swap out this AGP video card. which now has a heatsink part attached (since the fan failed). The video defects disappear when another PCI video card is swapped in. it. The chip could be damaged. what's the best preventative measure to take with new video cards? Keep the case open and aim an external fan at the video card? I don't want fan failure to damage another video card. I've done that. But not out of fear the fan would pack up. hot air" doesn't collect around the video card. If you want to do your own cooling, you can buy "passive"
cooled cards. They have a large heatpipe based cooler. cool the card that way. element of risk to it (if you're a butterfingers). This is an example of a PCI Express with a passive cooler. way of the cooling air from your 80mm fan. one of the Accelero Twin Turbo models will probably suffice. may be an option too. Thanks (Rene), will keep that in mind. which mobo/CPU to get, which is holding up the show. 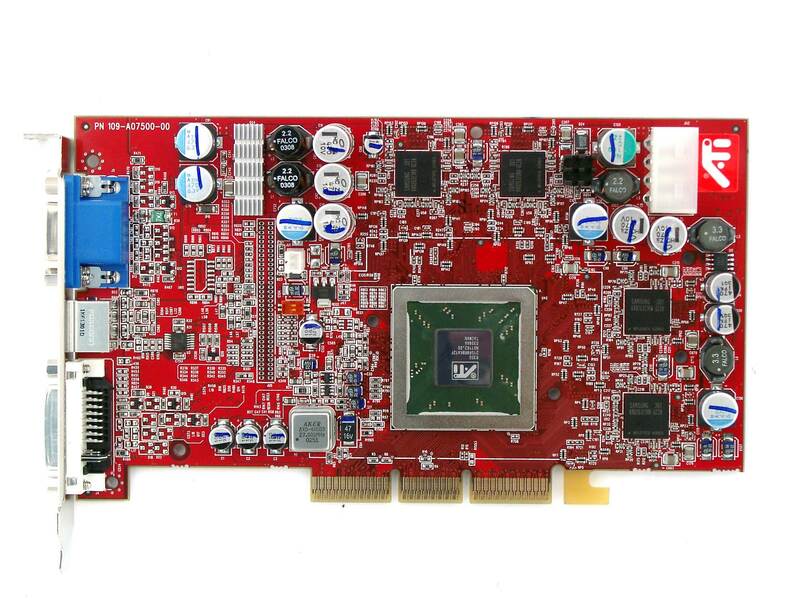 AGP 2x/4x/8x card in older AGP 1x/2x slot. 4-8x agp video card on older 2-4 agp motherboard?